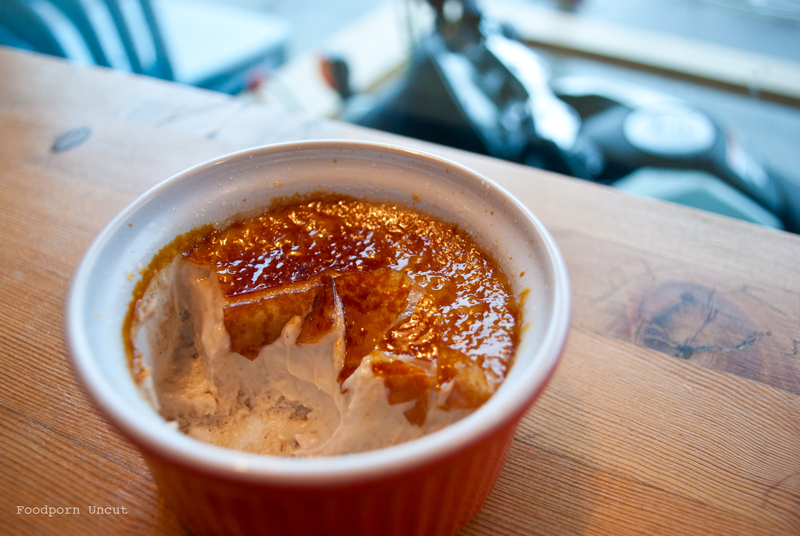 Crackle Crème – You should eat out more. On a rainy Vancouver Saturday, Mell was still recovering from a rough night out/nursing a wicked hangover. However, we had work to do—aka. we had some crème brûlée to eat at Crackle Crème. They don’t open until 12pm, so don’t do what we (and a few others did that same day) and arrive expecting a brunchtime dessert. Crackle Crème serves coffee and liege waffles as well, but we really wanted our crème brûlée, so we tried three different flavours. Because why the hell not. First up: the organic Earl Grey. 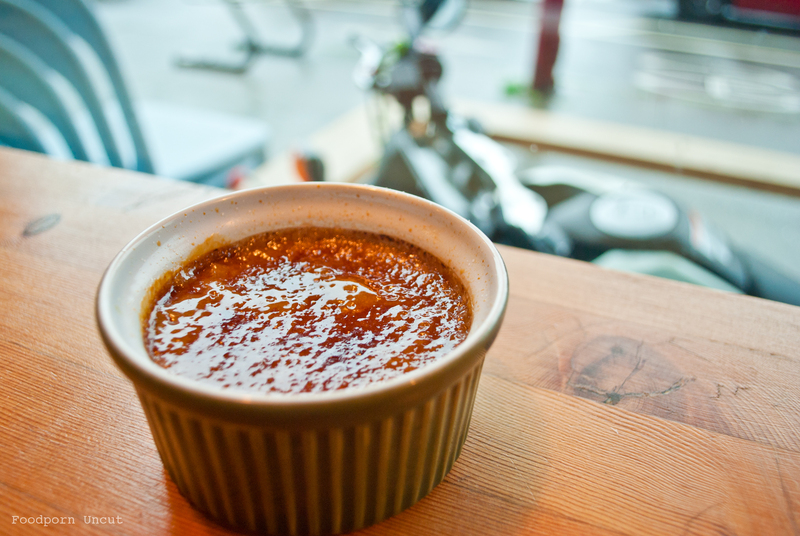 Because we both love our London Fogs, it just made perfect sense to see how we’d like Earl Grey in crème brûlée. (…Right??) And we did. 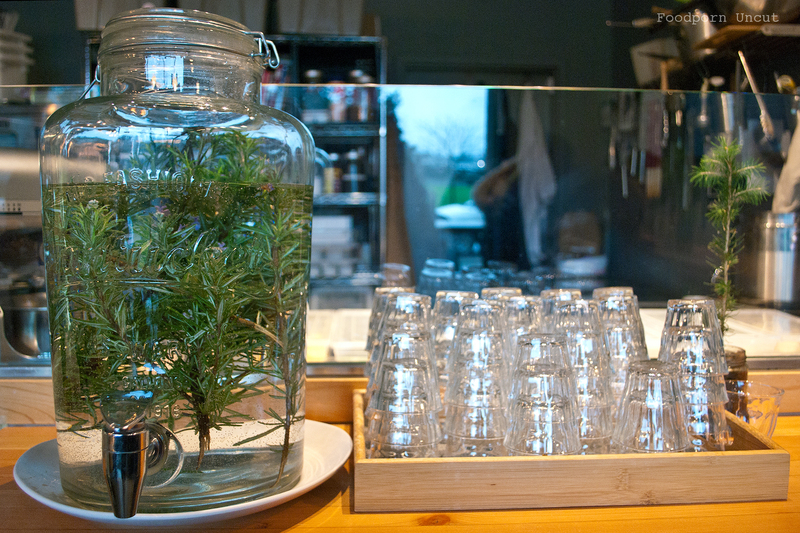 The earl grey was subtle—so much so that we were wondering if they gave us the right one. But the more we dipped into it, the more black tea and bergamot we detected. Second choice, which we were super pumped for, was their white chocolate rose. Just imagining those flavours in harmony was making our mouths water. But in reality the effect was sorta blah; the two flavours didn’t go together that well for us. M: It’s tasting a lot like rose and not a lot like white chocolate. Can’t believe I’m saying this but I’d rather this be sweeter? G: Hmm… I see what you mean. Normally white chocolate is sweeter than this. We needed flavour redemption. Pronto. Next up was Vietnamese coffee with cocoa nibs. This was definitely our favourite. 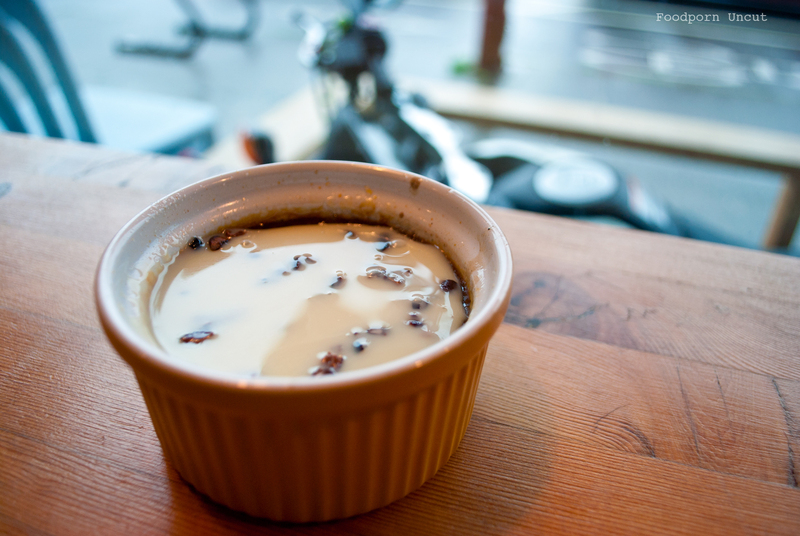 Bathing in condensed milk, it had not only sweetness but also the bitterness of the cocoa nibs. The blend of flavours was unique and made this one stand out among the three. G: Omg this one. Favourite. Hands down. M: HNNG. The crunchy cocoa nibs? I’m dying. A great reason to get out of bed? Check. A cosy spot to chat and stare out the window? Defs. Tasty sugary treats? Oh hellll yes. We enjoyed the fact that this was our first meal of the day (M: Aw yiss, sugar high). 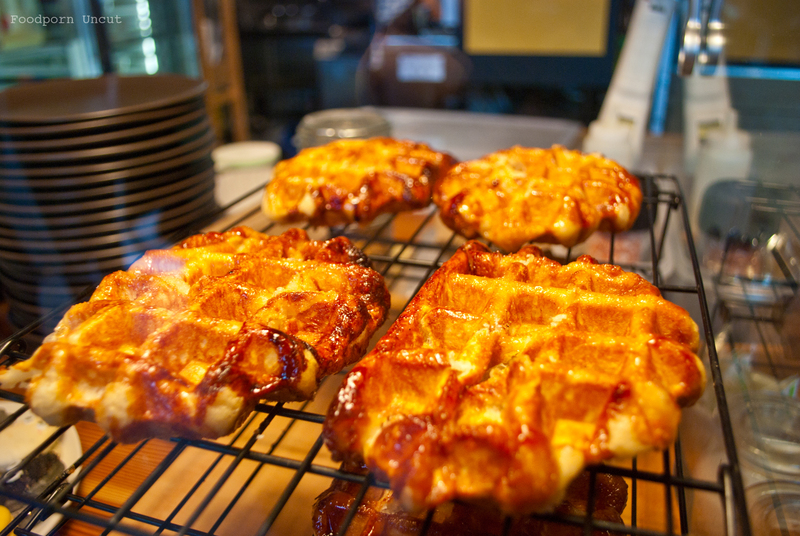 We’ll probably come back to sample more crème brûlée flavours and waffles. CAN’T WAIT.